That's it for this live text, this Test and this summer of international cricket. What a tremendous series. Thanks for reading. We'll be back for the Sri Lanka tour in October. For now, Amy Lofthouse's report of day five from The Oval is here. 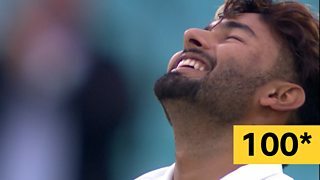 The Test Match Special podcast is here. And they'll be plenty more reaction to a fantastic series coming here. It's been a pleasure. Cheers. 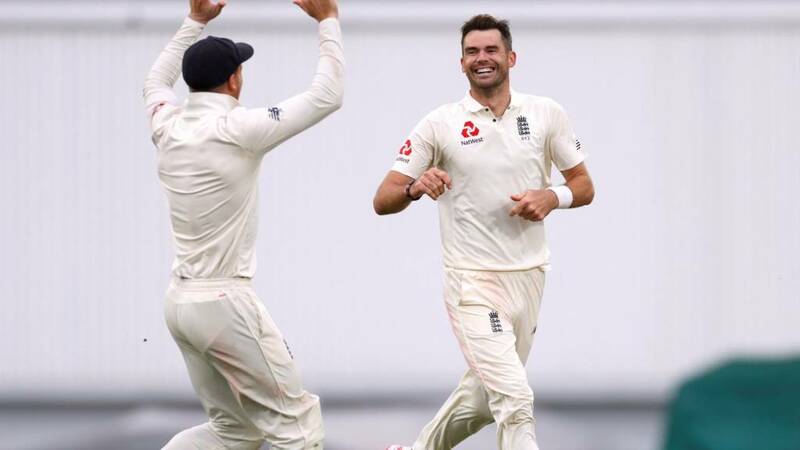 And in the Test where they seemed to be some form of providence guiding England's greats, it was only fitting that James Anderson took the last wicket. In doing so, Anderson surpassed Glenn McGrath as the fast bowler to take the most Test wickets. Oh and the Test itself - England ultimately dismissed India for 345 to secure victory by 118 runs and wrap up a 4-1 series win. 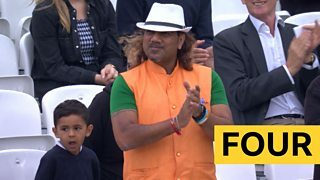 You can see why India voted him England's player of the series. He removed Jadeja and England were just one away. 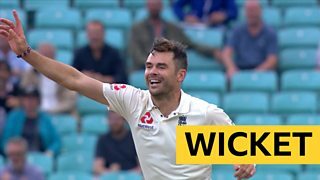 Finally England called for the new ball, James Anderson happy to bowl himself into the ground. 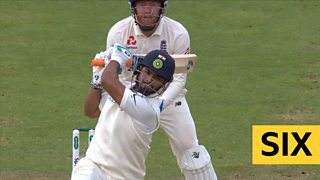 But with Stuart Broad down on pace and struggling with a broken rib, England needed someone to threaten from the other end too. 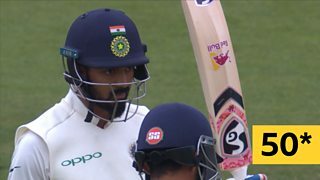 The seventh wicket did for India's chances of victory but the draw was still possible, not least with Ravindra Jadeja at the crease. 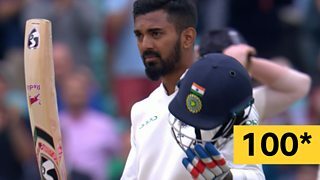 So KL Rahul was dismissed for a brilliant 149 by a majestic delivery to match. 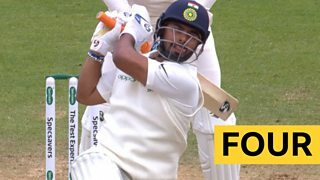 But Rishabh Pant was still there. India needed 166 runs off 32 overs in the final session. England still needed five wickets. The new ball was still five overs away. And then the nerves really crept in. India couldn't do this could they? 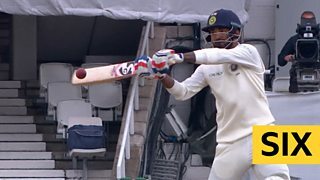 The highest run-chase in Test history? The afternoon session was, er, curious. 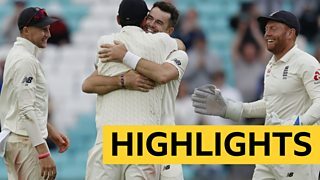 England's tactics were questionable, with Joe Root bowling himself in front of Moeen Ali and Adil Rashid at one stage and with more attacking fields than his premier spinners. James Anderson, Stuart Broad and Sam Curran were left unused for long periods. India were 121-5 but added another 46 runs without losing another wicket by lunch. India resumed on 58-3 this morning, needing to reach a seemingly impossible target of 464. England needed seven more wickets. The funny thing is, there was a lot of dross cricket played today. The game drifted for long periods. More from Cook: "The amount of hard work that goes into playing Test cricket for England - I won't miss that strain and the pressure. But you get the highs with that, you get your rewards. "No chance I'm coming back. This week cannot be beaten. I can walk away with my head held high, like I've always wanted to do." More from Kohli: "There will be things that we will think about. We missed quite a few opportunities, but we have no regrets. We decided to be fearless. I'm not saying that the scoreline is not fair, but it does not mean we have been outplayed in every game. We can take a lot of heart from that. 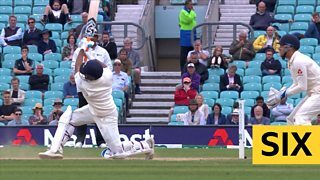 "There's a reason why we voted for Sam Curran as man of the series. He's made significant contributions. It takes character for someone to come in and play like that." Jon: If there is a cricketing god they’re a ridiculously sentimental old soul. What a match for the old timers. 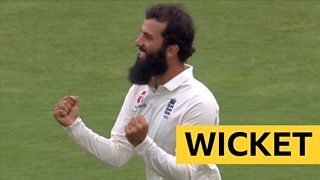 Ketan: Fitting for Anderson to get that final wicket. One of the best pace bowlers of my generation. Salman: A teary James Anderson bidding goodbye to his best mate Alastair Cook. What champions. What role models. What cricketers. And, most importantly, what gentlemen. Two of the very best England will ever produce. More from Root on Cook: "Alastair Cook has been an exceptional player for a long period of time. He’s been a huge part of our dressing room and I thought the reception all week was fitting for what has been a wonderful career. On Anderson: "There is still a lot left for Jimmy. The scary thing is I feel he has got a good couple of years left. In my opinion, he’s the best he’s ever been." What a fairytale Test match this has been. 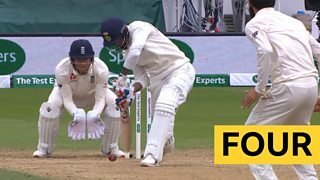 Cook's wonderful hundred, the white ball specialist bystander comes up with a beauty to make the breakthrough and then a second England legend makes his mark in history to wrap up an amazing series! Well done all involved. 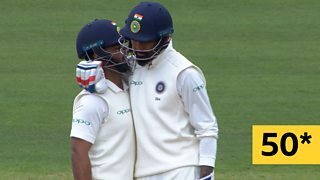 How can you not love Test cricket?